Park Place, a 18th-century country house, near Henley-on-Thames, Oxfordshire, has reportedly become Britain’s most expensive one after being sold to a Russian billionaire for a record £140 million. The 54-year-old Russian steel tycoon, Vladimir Lisin, with a fortune of £15 billion, bought the 300-year-old Park Place from developer Michael Spink who bought the estate for £40 million in 2007. The record sale also reportedly includes about 200 acres of the parklands, listed monuments, house, cottages, stables and a boat house. Park Place, set in hundreds of acres of land, is a Grade II-listed property that backs on to the Thames near Henley. 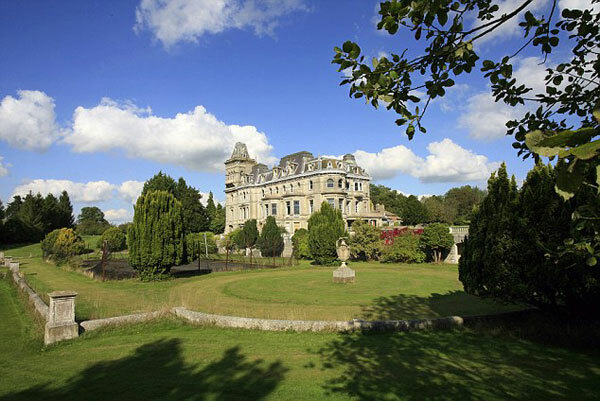 The Franco-Italianate mansion and estate once belonged to Frederick Prince of Wales, the eldest son of George II. Prince Frederick never ascended to the throne, dying before his father in 1751. More recent owners have included John Latsis, a Greek shipping billionaire; the local council, which ran it as a school; and a consortium of developers that had intended to turn Park Place into a country club. Rooms still have the original huge stone fireplaces and stained glass windows. The ghost of Mary Blandy, who was accused of poisoning her father in 1752, is said to haunt the grounds. The original sale involved several outlying properties, including three houses, 10 tenanted cottages and a further eight in need of renovation. General Seymour Conway, who owned Park Place at the time of the French Revolution, developed large caves beneath the property into a chamber that can be reached through a tunnel and six vaulted openings. The property, which was used until 1998 as a boarding school, has two golf courses, a boathouse on the Thames and a stable block. It was recently used in the remake of the film St. Trinians. This is the latest sale of a trophy residence across south-east England to wealthy overseas buyers. The trend shows no sign of abating, despite the economic downturn and stagnation in other areas of the housing market. Such super-prime properties remain attractive to investors overseas, particularly those from less stable economies in southern and eastern Europe, say experts. Mr Spink went on to spend around £100million on the restoration and reconstruction of the Franco-Italianate mansion and estate. 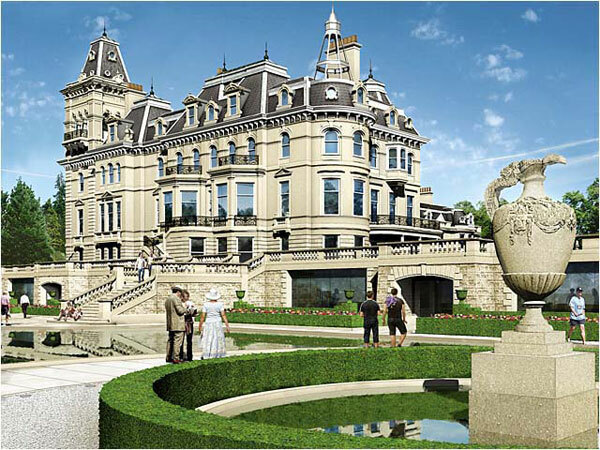 He is also currently developing a second 300-acre phase of the estate, which was not included in the sale. The record purchase beats the sale of a penthouse at One Hyde Park, Knightsbridge, for £136 million earlier this year. However, One Hyde Park was sold as a shell, and agents have estimated that the price will end up nearer £200 million after refurbishment.